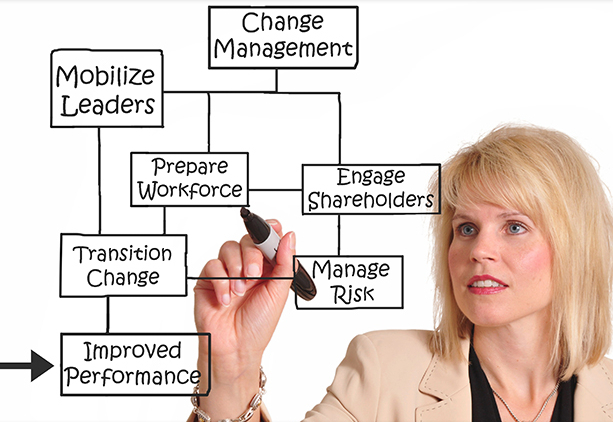 Organizations are constantly undergoing change in today’s fast paced business environment to remain competitive and relevant. The constant innovation of technology is also pushing us to replace outdated systems and processes with more agile, flexible technologies. 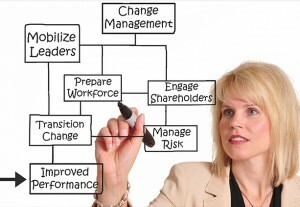 prepare employees for change with resources, coaching and training. create an environment of self-empowerment, personal accountability and responsibility. Are you finding that the way you used to assemble your products or service your clients has become slow and inefficient? Do you know where the system is breaking down? As management experts, we can document and diagram the steps in a workflow process, whether it is in manufacturing, retail service, or professional service. Identify redundant steps, slowdowns, blockages and barriers and help to design a more efficient way for you to achieve your desired outcomes. We further identify new technologies that can help to reduce your turnaround time and provide a better customer experience. Our associates have training in lean sigma techniques as well as TQM. Has your company reached a point where you cannot keep up with the current demand or do you have excess staff that is sitting idle. In either case, we can help you identify what your current needs are for expansion or reduction. We can creatively help you either re-schedule your present staffing, reduce hours, identify areas where additional staffing is needed and what skills and abilities are required, and in the worst case scenario, advise you on downsizing or rightsizing to decrease expenses. In these economic times, businesses are turning to mergers and acquisitions as an expansion strategy. If your company is contemplating such a move, we can assist with the planning and due diligence process. The M&A process can be very time consuming especially when simultaneously you must keep your existing business running. We can assist you with document preparation, policies and procedures, compensation and HR legal compliance issues.